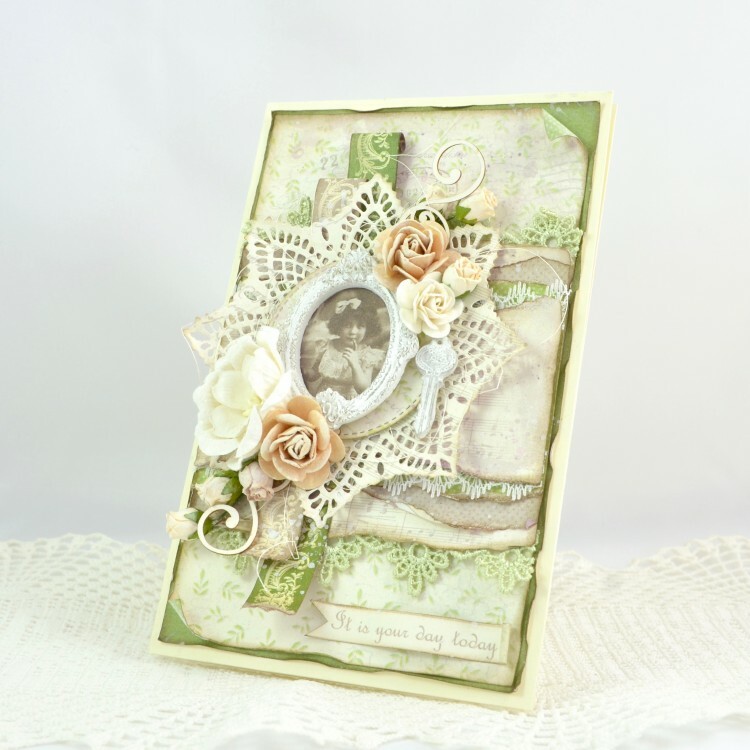 For this card I used papers from the “Scent of Lavender” collection. This time I choose to use the green and beige colors from this series of paper. And as usual I like to build my cards in many layers. Hope you like how it turned out.